133 Commonwealth is located on the north side of Commonwealth, between Clarendon and Dartmouth, with 131 Commonwealth to the east and 135 Commonwealth to the west. 133 Commonwealth was designed by Snell and Gregerson, architects, and built in 1879 by Webster & Dixon, builders, one of two contiguous houses (133-135 Commonwealth). 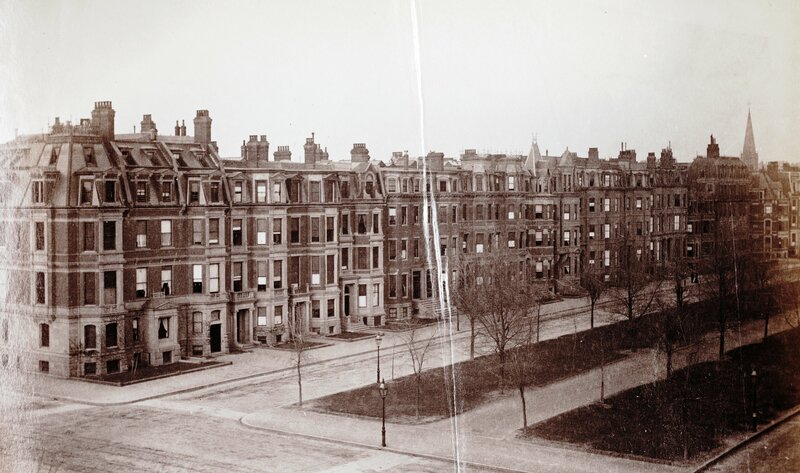 The land at 133 Commonwealth was purchased from the Commonwealth of Massachusetts on February 20, 1878 by Henry Lee Jaques. He and his wife, Ellen T. (Thompson) Jaques, lived in New York City, where he was a banker. One week later, his brother, Francis Jaques, purchased the land at 135 Commonwealth and on April 1, 1878, they entered into a party wall agreement governing the soon-to-be built wall between the two properties. On June 7, 1878, Henry Jaques sold the land to Fanny (Pickman) Wharton, the wife of attorney William Fisher Wharton, and the Whartons subsequently built their home there. They previously had lived at 18 Marlborough. William F. Wharton is shown as the owner on the original building permit application for 135 Commonwealth, dated May 2, 1879. Click here for an index to the deeds for 133 Commonwealth. Fanny Wharton died in October of 1880 in Beverly, probably soon after (or possibly even before) they had moved to the new house. William Wharton and their infant son, William Pickman Wharton, continued to live at 133 Commonwealth in 1889. In 1890, he moved to Washington DC, having been appointed as First Assistant Secretary of State in the Benjamin Harrison Administration. In February of 1891, he remarried to Susan Carberry Lay. He continued to own 131 Commonwealth and lease it to others. By the 1889-1890 winter season, it was the home of dry goods commission merchant Joseph Sargent, Jr., and his wife, Nellie Louise (McClure) Sargent. They previously had lived in Worcester. 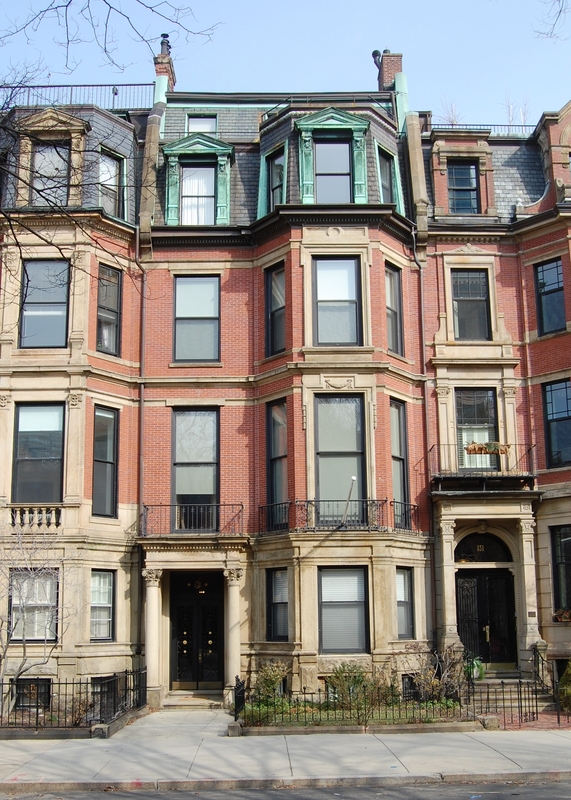 They continued to live at 133 Commonwealth during the 1890-1891 season, but moved thereafter to 316 Beacon. During the 1891-1892 winter season, 133 Commonwealth was the home of Josephine (Moore) Dexter, widow of Chicago attorney Wirt Dexter. She moved by the next season. 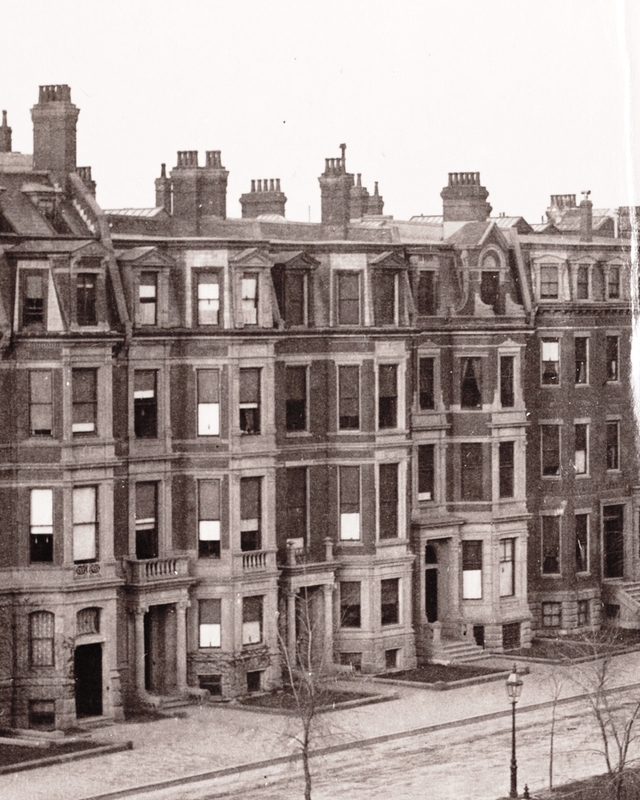 By the late 1890s, she had resumed living in Boston at a new home she built at 393 Commonwealth. By the 1892-1893 winter season, it was the home of Henry Russell Shaw, a banker and broker, and his wife, Grace (Rathbone) Shaw. They previously had lived at 265 Beacon. Henry Shaw died in September of 1904. Grace Shaw continued to live at 133 Commonwealth until her death in May of 1911. 133 Commonwealth was not listed in the 1912 Blue Book. On June 28, 1912, 133 Commonwealth was purchased from William Fisher Wharton and William Pickman Wharton by Thomas Emerson Proctor, Jr., a real estate investor. He also maintained a home in Topsfield, where he pursued his avocation as a horticulturalist and built a noted rock garden, the “Rockery.” He continued to live at 133 Commonwealth during the 1913-1914 season, but moved soon thereafter to Topsfield. On May 26, 1914, 133 Commonwealth was purchased from Thomas Proctor by Abigail Louise (Hanley) Dempsey, the wife of George Christopher Dempsey, a distiller and liquor importer. They lived at the Hotel Somerset until February of 1915 while their new home was being remodeled. 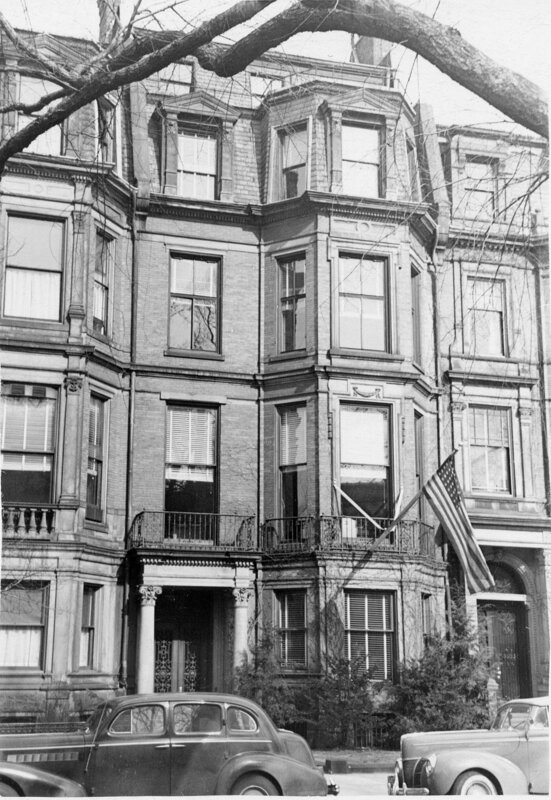 The Dempseys continued to live at 133 Commonwealth in 1924, but had moved to Brookline by 1925. On April 16, 1924, 133 Commonwealth was purchased from Abigail Dempsey by Robert Jordan. He and his wife, Jane Laurel (Malcolm) Jordan, made it their home. They previously had lived at 46 Beacon. Robert Jordan was a director of his family’s dry goods and department store, Jordan, Marsh & Co. They continued to live there until his death in November of 1932. They also maintained a home in Palm Beach, Florida. The house was not listed in the 1932 and 1933 Blue Books and was shown as vacant in the 1932-1934 City Directories. On April 20, 1934, 133 Commonwealth was purchased from Robert Jordan’s estate by Pierpont Langley Stackpole and his wife, Lora A. (McGinley) Knowles Stackpole. They previously had lived at the Ritz-Carlton Hotel at 15 Arlington. They also maintained a home in Manchester. Pierpont Stackpole died in December of 1936. Lora Stackpole continued to live at 133 Commonwealth in 1939. Soon thereafter, however, she moved back to the Ritz-Carlton Hotel. On June 5, 1941, 133 Commonwealth was acquired from Laura Stackpole by James Arthur Canton. He and his wife, Pauline (Flack) Canton, lived in Dorchester. He was a constable and probably purchased the property on behalf of the World Wide Broadcasting Foundation of Massachusetts, to which he transferred the property on July 15, 1942. 133 Commonwealth became the studios of WRUL, a short-wave radio station operated by the Foundation, which had offices at 70 Brookline Avenue and in New York City, and a transmitter in Scituate. Prior to the war, the station had been affiliated with the Christian Science Church. In November of 1942, it was leased by the Office of War Information and merged with the government’s Voice of America. WRUL continued to be located at 133 Commonwealth until about 1950. On January 20, 1950, 133 Commonwealth was purchased from the World Wide Broadcasting Foundation (Walter S. Lemmon, president) by real estate dealer Thomas J. Diab. That same month, he filed for (and subsequently received) permission to convert the house from a radio broadcast studio into ten apartments and one doctor’s office. 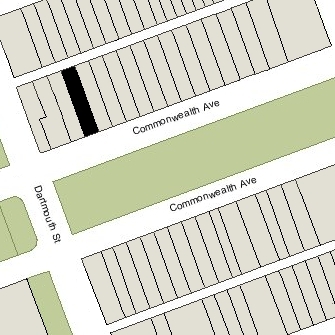 133 Commonwealth was shown as vacant in the 1952 City Directory. On September 24, 1953, Thomas Diab transferred the property to himself and Beatrice G. (Taylor) Karp, the wife of attorney Harold Karp. The Karps lived in Medford. On January 4, 1954, 133 Commonwealth was purchased from Thomas Diab and Beatrice Karp by real estate dealer John J. Ventola. He and his wife, Charlotte G. (Rohan) Ventola, an attorney, lived at 401 Marlborough. On June 16, 1958, 133 Commonwealth was purchased by Dr. Rose (Wexler) Winston, a physician. She and her husband, Dr. Murray R. Winston, also a physician, lived in one of the apartments. They previously had lived at 108 Marlborough. In 1963, Rose Winston acquired 53 Hereford, in 1966, she acquired 51 Hereford, and in 1967 she acquired 47 and 49 Hereford. She operated them as lodging houses. Murray and Rose Winston continued to live in an apartment at 133 Commonwealth. They separated in the mid-1960s and he moved to Jamaica Plain. Rose Winston continued to live at 133 Commonwealth until the late 1970s, and continued to own the property until her death in March of 1993. On August 30, 1994, 133 Commonwealth was purchased from the estate of Rose Winston by Harry Poteat, trustee of the Hanover 133 Realty Trust. In February of 1995, he converted the house into nine apartments. 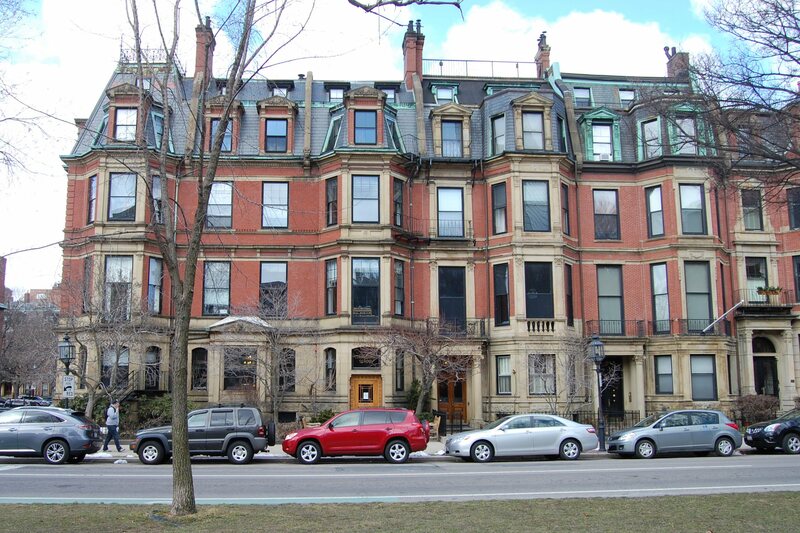 On August 25, 1995, Harry Poteat converted the property into eight condominium units, the 133 Commonwealth Condominium. On August 28, 2000, the condominium association reduced the number of units to six, reflecting the consolidation of three units into one.